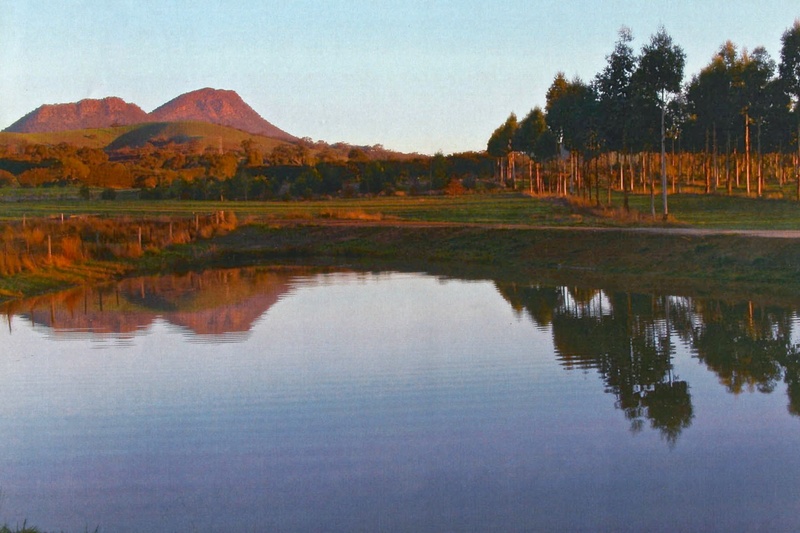 The 40 hectare property was purchased specifically as a tree growing demonstration site. John Woodley felt that the best way of showing farmers the financial benefits of including Farm Forestry in their farms was growing trees on his own farm. There are a variety of layouts and species with emphasis on both shelter, using a combination of timber species and native understorey in shelterbelts, and timber quality through pruning and thinning for clearwood sawlogs. When the 40 hectare property was purchased in 1994 it was a run down grazing block and John Woodley had four main objectives. 1. To grow high quality clearwood sawlogs and veneer logs for the timber industry. 2. To create a valuable superannuation scheme by doing that. 3. To demonstrate ways that trees can be grown on farms for the benefit of the overall farming operation. 4. To make the property into a very nice place to live. E. nitens (Shining Gum) for high quality hardwood sawlogs. Other Eucalypt species have proved more suitable on this site such as E. saligna (Sydney Blue Gum) and Eucalypt hybrid - E. camaldulensis/E. grandis (Red gum/Rose Gum hybrid). Pinus radiata (Monterey Pine) for high quality pruned softwood sawlogs. Still a very versatile tree on this property. Cupressus macrocarpa (Monterey Cypress) A high quality, versatile timber for building and cabinet making. This timber is naturally borer resistant. Cupressus lucitanica (Mexican Cypress) is now preferred for it's canker resistance. 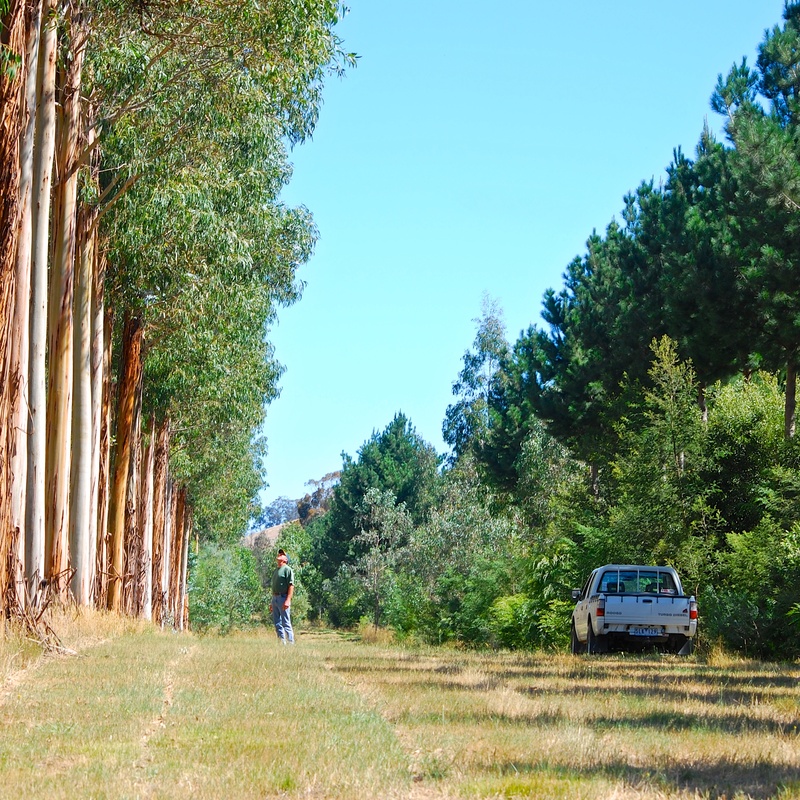 The native shrub understorey plantings have greatly enhanced habitat, whether with pine or native timber species and the native bird population has grown significantly. 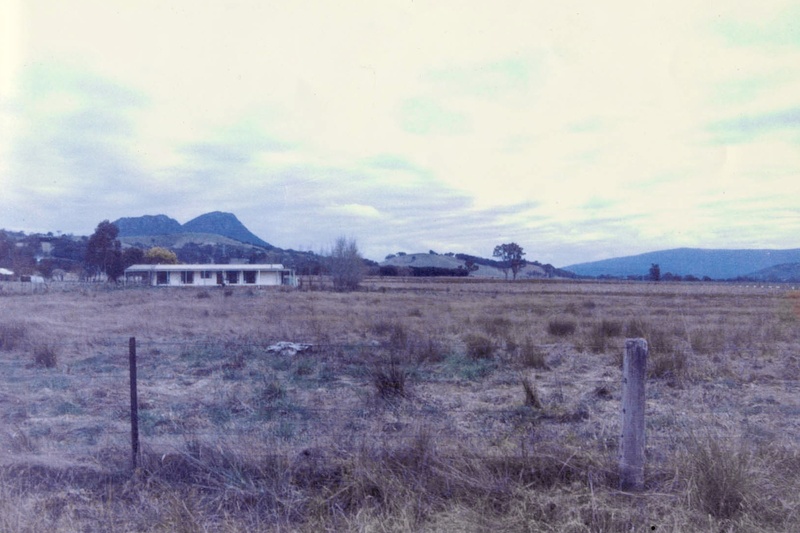 John's property at Taggerty looked like this when he purchased it in 1994. The same property today. John has planted more than 10,000 trees of over 50 species.